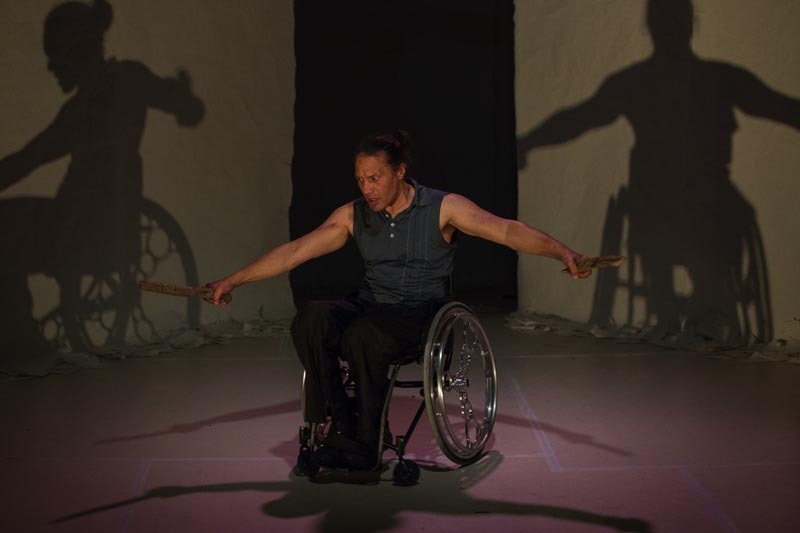 International performances in Singapore and the Gold Coast are on this year’s calendar for dancer Rodney Bell, recipient of the Arts Access Artistic Achievement Award 2017, along with a New Zealand tour of his work Meremere. The Te Kuiti dancer says he is looking forward to the upcoming performances of his two new works, Harihari and Hurihuri. Both works were commissioned for the True Colours Festival 2018 in Singapore in March and the Commonwealth Games Arts Festival in the Gold Coast in April. They have been developed with Malia Johnston and producer Romola Lang through Malia's company, Movement Of The Human (MOTH). 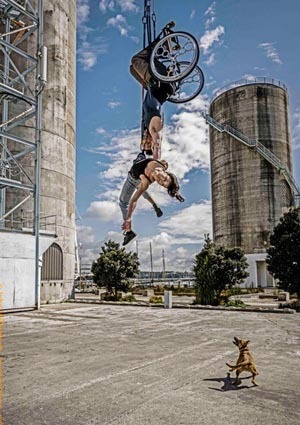 Rodney has used a wheelchair since 1991, when he became paralysed from the chest down as the result of a motorbike accident. Sport and then dance offered new ways to express himself physically. Harihari is one of 15 performances at Singapore’s True Colours Festival, to be held from 23 to 25 March. The UNESCO-supported festival celebrates artists with disabilities from the Asia Pacific region. The word “harihari” in te reo Māori means “to gather/pull people together through song and dance”. The dancers explore balance and “what it means to be the same when we're not”, Rodney says. The following month, Rodney will be on the Gold Coast to perform at the Commonwealth Games Arts Festival, on during the Commonwealth Games. Rodney and Brydie will perform eight shows of Hurihuri, which means to spin, revolve, rotate or twirl in te reo Māori. In Hurihuri, traditional Pacific performance collides with urban street culture and “fizzes with energy, magic and heart”. Skateboarders, kapa haka and poi dancers will perform against a live soundscape of drums, electronic loops and taonga pūoro (traditional Māori instruments). This will be the first time Rodney has toured overseas since returning to New Zealand in 2015. Rodney spent five years with Axis Dance Company in Oakland, California, but found himself homeless in 2012 at the end of his contract. Since his return, he has explored his life experiences and developed his autobiographical work Meremere in collaboration with Malia Johnston and MOTH. The solo work will tour New Zealand in June and July, and will include performances on marae and in prisons. 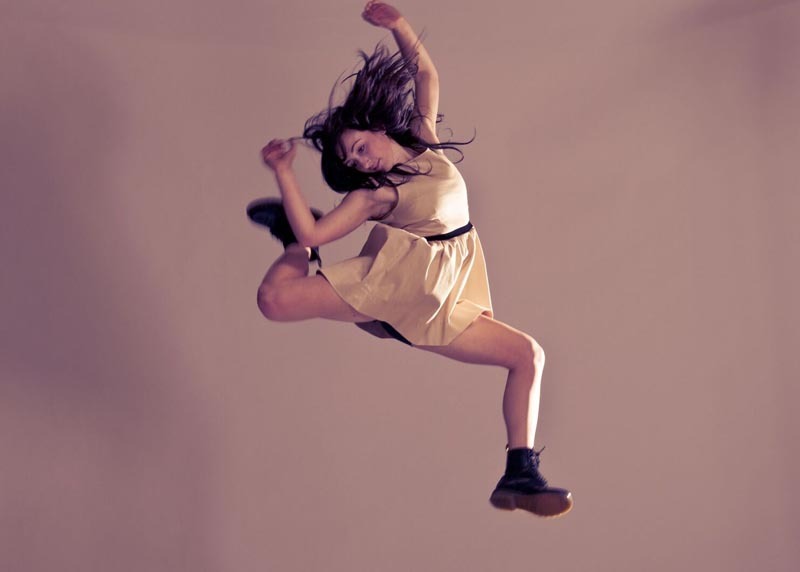 “Dance collaborations are important to me because we all share different bodies. This means different strengths, different ways of finding connections and different ways of moving together,” Rodney says. Funding from both international festivals and Creative New Zealand has supported Rodney and the team to develop his new works. However, an additional $30,000 is required to finalise the projects. You can support Rodney’s upcoming international performances and the national tour of Meremere through Givealittle. Read Dancing my story, an artist profile of Rodney Bell. Original generation time 1.5132 seconds. Cache Loaded in: 0.0005 seconds.